- replace bridge pickup with a single coil sized humbucker, which one? so either talk me out of it, or tell me why you would do it, and if you do it, what pickups would you use? and for what sound? Sell it. 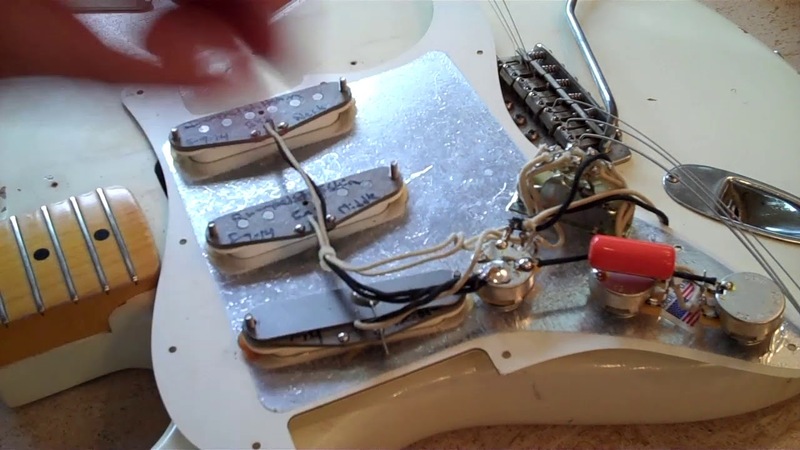 Buy a Strat with a humbucker in the bridge. A push/pull on the neck pickup for either series/parallel, or a coil tap. Would brighten the pickup a bit. Bridge pickup, a Duncan lil 59'er might be what you need. The Bigsby is up to you. I never liked them on a tele, but that's just me. Unless you HATE the neck, why replace it? First thought: Raise the neck pickup, you'll get more output. As for the bridge pickup, Seymour Duncan makes a couple of humbuckers specifically for replacing the angled one in a Telecaster. Nearly the same as a tele delux ? i like the look of it,i think the big headstocks look a bit dumb on these , i`d sort the pickups out and keep it, plus you have the controls like a les paul.,whats not to like. I'd put a TV Jones Starwood Tele in the bridge and a humbucker-sized TV Jones Powertron or Classic in the neck. ^bolded^ I like this pickup in this situation. Suggestion for neck: HB-sized P90. yep, but fender japan never made a lefty Tele Deluxe, and i only saw one picture of an original lefty 70's tele deluxe which had a ridiculous price tag on it, before that doubted that they ever existed. Good call, cause I have a Gretsch Power Jet and it sounds amazing. I've only seen vids of the Starwood, but what I have heard sounded very fine. I have the same guitar in the MIM Road Worn version and it suffers from some of those same issues (especially in regards to the p'ups). I bought the RW version because I wanted the thinner finish for a bit more vibe. I think it delivered that. I have a large collection of guitars, so most (including this one) only get occasional play, and during those times my brain thinks of mods, but then it goes out of rotation and I don't follow through. BUT!! if I were to mod it, I'd get a Lollar Regal Humbucker for the neck, and find the best bridge p'up that would have the umph that both you and I find missing. (Maybe something voiced like an early Broadcaster p'up) And although I like Bigsbys, they do have the tendency to make the tone deeper. Where I actually want to go is go in the direction of "more twangy", so I would not be into the Bigsby mod. I do already have a Muddy Waters Signature Telecaster with a Fender Bigsby mod, and it's definitely a bit of a deeper darker sounding Tele. Still sounds good, but like there was a Les Paul in that Tele's family tree. I've also always thought that a bridge HB and neck single coil would make more sense, but it seems like the idea of the Deluxe is to have the two ends of the spectrum, and then to be able to blend in more twang to the HB with the single coil. Problem being that these RI WR p'ups don't "twang" so the concept falls a bit short. I once found an old video of Dolly Parton singing Jolene where the guitarist was playing an original, and it was interesting to hear how much closer the original WR p'ups sound like a Fender single coil tone. But again, the Deluxe and Custom need it more than the Thinline. try getting a neck pickup around 6k output preferably in the same style i think that will probs jangle . again thx for your (long) responses. somehow i prefer the twang of a strat to the twang of tele. i played a '52 reissue of some kind in a store, and all i can say is i like the strat sound more. so here i'm not in the search of the classic tele sound, if i want twang i grab the strat which is my main. Powertron in the neck then.